$159.00 Ships within 24 hours. Medication information about Generic Aceret Important information about usage, risks and possible side-effects. Possible Uses of Aceret::Acitretin is a retinoid, which is a form of vitamin A. Acitretin is used to treat severe psoriasis in adults. Acitretin is not a cure for psoriasis, and you may relapse after you stop taking this medication. Acitretin may also be used for purposes not listed in this medication guide. How to take Aceret: Read the Medication Guide provided by your pharmacist before you start using acitretin and each time you get a refill. If you have any questions regarding the information, consult your doctor or pharmacist. Before using Aceret: WARNING:Before taking acitretin, tell your doctor or pharmacist if you are allergic to it; or to vitamin A-related drugs (other retinoids such as isotretinoin); or if you have any other allergies. This product may contain inactive ingredients, which can cause allergic reactions or other problems. Talk to your pharmacist for more details. 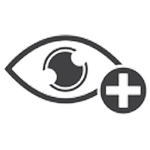 Precautions When Using Aceret: It may cause drowsiness or vision changes. Do not drive a car or operate machinery while taking this medication. Acitretin is noted for the possibility of severe birth defects and should not be used by pregnant women or women planning to get pregnant within 3 years following the use of this medcation. Sexually active women of childbearing age who use Acitretin should also use at least 2 forms of birth control concurrently. Avoid blood donation during therapy or at least 1-3 years after stopping therapy. It may make your skin sensitive to light, so avoid sunlight. 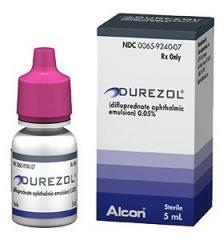 Remove contact lenses while using this medication otherwise it will increase irritation. Monitor liver function, plasma lipid and glucose levels (especially in diabetic patients) regularly. Side Effects of Aceret: You may experience more redness, itching, skin scaling, peeling and dry skin the first several weeks as your body adjusts to the medication. Dry eyes, eye irritation, crusting of the eye lids, increased sensitivity to sunlight, dry mouth, peeling of the skin of fingertips, palms or soles of feet, chapped lips, runny nose, thirst, taste changes and hair loss may also occur. If any of these effects persist or worsen, tell your doctor or pharmacist promptly. Tell your doctor right away if you have any serious side effects, including: decreased night vision, fever, chills, dizziness, aches and pain in the bones or joints, muscle pain/tenderness/weakness, difficulty moving, swelling, sudden weight gain, change in the amount of urine. Get medical help right away if you have any very serious side effects, including: mood changes (e.g., depression, aggressive or violent behavior, and in rare cases thoughts of suicide). Drug Interactions of Aceret: Drug interactions may change how your medications work or increase your risk for serious side effects. This document does not contain all possible drug interactions. Keep a list of all the products you use (including prescription/nonprescription drugs and herbal products) and share it with your doctor and pharmacist. Do not start, stop, or change the dosage of any medicines without your doctor's approval. Missed dose of Aceret:If you miss a dose, use it as soon as you remember if it is on the same day. If it is near the time of the next dose, skip the missed dose and resume your usual dosing schedule. Do not double the dose to catch up because this could increase your risk for bleeding. Keep a record of missed doses to give to your doctor or pharmacist. Call your doctor or pharmacist if you miss 2 or more doses in a row. Storage of Aceret: Store between 15° and 25°C (59° and 77°F) in an airtight container. Protect from light. Avoid exposure to high temperatures and humidity after the bottle is opened. Keep away from children. 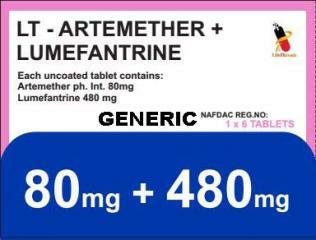 Other Information of Aceret: DO NOT SHARE THIS MEDICINE with others for whom it was not prescribed. DO NOT USE THIS MEDICINE for other health conditions. KEEP THIS PRODUCT out of the reach of children. IF USING THIS MEDICINE FOR AN EXTENDED PERIOD OF TIME, obtain refills before your supply runs out.